A Revolutionary Guards commander said Iran would use its missiles if its security is under threat, as the elite force defied new U.S. sanctions on its missile programme by holding a military exercise on Saturday. Tensions between Tehran and Washington have risen since a recent Iranian ballistic missile test which prompted U.S. President Donald Trump’s administration to impose sanctions on individuals and entities linked to the Revolutionary Guards, reports Reuters. “We are working day and night to protect Iran’s security,” head of Revolutionary Guards’ aerospace unit, Brigadier General Amir Ali Hajizadeh was quoted as saying by Tasnim news agency. “If we see smallest misstep from the enemies, our roaring missiles will fall on their heads,” he added. Despite the heated words, U.S. Defense Secretary Jim Mattis said on Saturday he was not considering raising the number of U.S. forces in the Middle East to address Iran’s “misbehavior”, but warned that the world would not ignore Iranian activities. Dismissing Trump’s comments that “nothing is off the table” in dealing with Tehran, the commander of Iran’s ground forces said on Saturday that the Islamic Republic has been hearing such threats since its 1979 revolution. “The defence capability and the offensive prowess of Iran’s armed forces would make America or any other enemy regretful of any incursion,” Ahmad Reza Pourdastan was quoted as saying by ISNA. Iranian state news agencies reported that home-made missile systems, radars, command and control centres, and cyber warfare systems would be tested in Saturday’s drill. Iran has one of the Middle East’s largest missile programmes and held a similar exercise in December to showcase its defence systems, including radars, anti-missile defence units, and short and medium-range missiles. 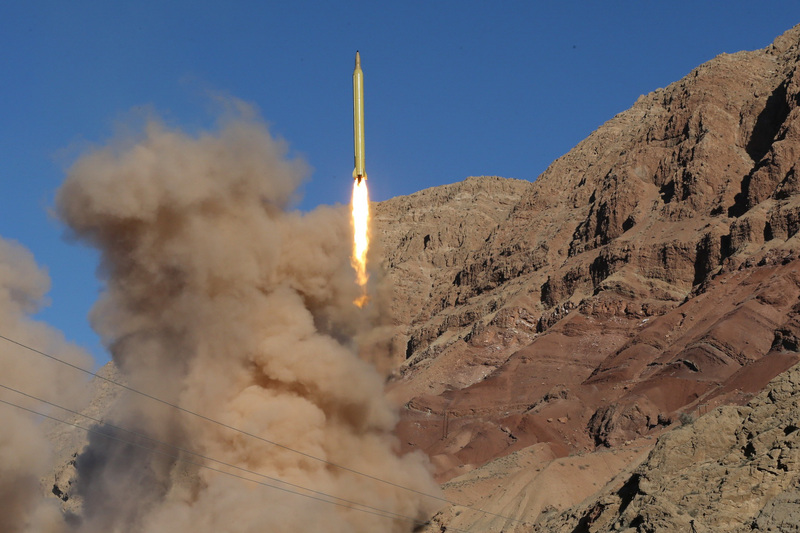 Iran has test-fired several ballistic missiles since the nuclear deal in 2015, but the latest test was the first since Trump entered the White House. Trump said during his election campaign that he would stop Iran’s missile programme. The United Nations Security Council held an emergency meeting on Tuesday and recommended the missile testing be studied at committee level. The new U.S. ambassador to the United Nations, Nikki Haley, called the test “unacceptable”. The Security Council resolution was adopted to buttress the deal under which Iran curbed its nuclear activities to allay concerns they could be used to develop atomic bombs, in exchange for relief from economic sanctions.